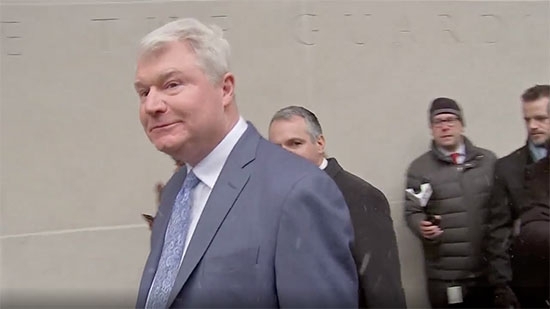 Philadelphia labor leader, John Dougherty, pled not guilty to federal corruption charges on Friday, 2/1. 58-year-old Johnny Doc leads the International Brotherhood of Electrical Workers (IBEW) Local 98 and was charged this week with others in a 161-count indictment that includes embezzlement, theft, and wire fraud charges. He is accused of misusing $600,000 of union funds to finance personal expenses. Philadelphia Councilman Bobby Henon pled not guilty on Thursday to charges. Henon is accused of doing Dougherty's bidding in City Council. Six others were also indicted including Brian Burrows, Michael Neill, Marita Crawford, Niko Rodriguez, Brian Fiocca, Anthony Massa. After Dougherty was arraigned he was released on $50,000 bail. He must surrender his passport and have only work-related contact with witnesses. New Jersey Democratic Senator Cory Booker announced today that he will be running for president in 2020. Booker follows others to enter the Democratic primary race including senators Elizabeth Warren of Massachusetts, Kamala Harris of California, and Kirsten Gillibrand of New York. Prior to serving in the Senate, the 49-year-old Booker was the Mayor of Newark, NJ. New Jersey law will allow him to run to keep his Senate seat at the same time he is running for president. A federal investigation into a 5-alarm blaze at a senior residence facility in Chester County last year has concluded with questions unanswered. Fire broke out around 11 p.m. at Barclay Friends in West Chester on November 16th, 2017. Four residents died and over 100 were displaced in the cold. The U.S. Bureau of Alcohol, Tobacco, Firearms, and Explosives released their report on Thursday, 1/31. The cause of the fire is undetermined. They looked at potential causes such as a cigarette or electrical malfunction, but could not make a determination. ATF did discover that the main sprinkler valve was turned off. They do not know why or when, but without water the fire suppression system didn't work.